limited to what is permitted by Schedule 1 though the Lord Chancellor has been granted power to remove or add matters to the Schedule - (Henry VIII powers). Many areas of law are removed from the scope of civil legal aid. For criminal legal aid, the Act provides for advice and assistance for individuals held in custody; advice and assistance for criminal proceedings and representation for criminal proceedings. In relation to both civil and criminal legal aid, a great deal remains to be set out in Regulations and these are likely to be extensive since regulation-making powers are strewn throughout Part 1 of the Act. Sections 1 to 7 deal with a number of important but preliminary matters (see below). Section 8 to 12 deal with civil legal aid and sections 13 to 20 with criminal legal aid. Sections 21 to 43 address Financial resources; Contributions and Costs; Providers of Services and Supplementary matters. Note that a number of terms are defined in section 42 (Interpretation) and Part 1 binds the Crown (section 43). (b) services consisting of advice, assistance and representation required to be made available under section 13 (Advice and assistance for individuals held in custody), section 15 (Advice and assistance for criminal proceedings), section 16 (Representation for criminal proceedings) or paragraph 4 or 5 of Schedule 3 (Legal aid for legal persons). 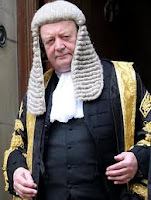 Section 1 goes further in enabling the Lord Chancellor to secure the provision of - (a) general information about the law and the legal system, and (b) information about the availability of advice about, and assistance in connection with, the law and the legal system. Section 2 (Arrangements) amplifies the Lord Chancellor's powers by enabling him to make various arrangements for legal aid provision. This is not considered further here. Section 3 deals with Standards of Service and enables the Lord Chancellor to set and monitor standards in relation to services made available under Part 1. Accreditation of those providing or wishing to provide services is dealt with and enables accreditation to be removed where the services provided are "unsatisfactory." The Director of Legal Aid Casework - Section 4 requires the Lord Chancellor to "designate a civil servant to be the Director of Legal Aid Casework (“the Director”)." The Director must (a) comply with directions given by the Lord Chancellor about the carrying out of the Director’s functions under this Part, and (b) have regard to guidance given by the Lord Chancellor about the carrying out of those functions. Any directions and guidance given under section 4 must be published though it may be revised or withdrawn from time to time. Section 4(4) is of particular importance given that objection was raised to the Bill in relation to the Director's independence. Under subsection 4, the Lord Chancellor must not give a direction or guidance about the carrying out of those functions in relation to an individual case, and (b) must ensure that the Director acts independently of the Lord Chancellor when applying a direction or guidance under subsection (3) in relation to an individual case. Section 4 needs to be read in connection with section 37 (Status of Director and Lord Chancellor). The appointment of the Director enables the Legal Services Commission to be abolished - section 38. Section 5, 6 and 7 deal (respectively) with Delegation, Authorisations and the Director's Annual Report. The Director reports to the Lord Chancellor and the latter must lay the report before Parliament and arrange for it to be published. Annual reports will relate to "financial year" (1st April to 31st March). Section 8 defines Civil Legal Services. The term "legal services" embraces (a) providing advice as to how the law applies in particular circumstances, (b) providing advice and assistance in relation to legal proceedings, (c) providing other advice and assistance in relation to the prevention of disputes about legal rights or duties (“legal disputes”) or the settlement or other resolution of legal disputes, and (d) providing advice and assistance in relation to the enforcement of decisions in legal proceedings or other decisions by which legal disputes are resolved. These services include, in particular, advice and assistance in the form of - (a) representation, and (b) mediation and other forms of dispute resolution. It is widely known that the present government favours the use of mediation etc. in many areas rather than have people resorting to the courts as a first step. Section 9 covers General cases and requires legal services be available to an individual under this Part if (a) they are civil legal services described in Part 1 of Schedule 1, and (b) the Director has determined that the individual qualifies for the services in accordance with this Part (and has not withdrawn the determination). Section 9 enables the Lord Chancellor to (a) add services to Part 1 of Schedule 1, or (b) vary or omit services described in that Part. This permits flexibility but, of course, contains the seeds of further cuts to legal aid provision made by the expedient of an Order in Council. Parliament will need to watch this carefully. Section 41 is of importance in the making of Orders. An Order made under section 9 is subject to affirmative resolution procedure. Schedule 1 is lengthy but here is the nerve centre of the legislation since it is here that the detailed scope of civil legal aid is set down. It is a complex scheme not really assisted by some very cumbersome drafting. The Schedule divides into four parts. Part 1 of the Schedule lists some 46 areas where legal aid might be available but careful reading is necessary since most of the areas are subject to various exceptions. Part 2 of Schedule 1 sets down a list of Excluded Services and Part 3 deals with when Advocacy is covered by civil legal aid. Part 4 deals with Interpretation. See below for the "small print" on Schedule 1. Section 10 deals with Exceptional Cases. Civil legal services (other than services described in Part 1 of Schedule 1) are to be available to an individual if either of subsections 10(2) or 10(4) are satisfied. Subsection 10(2) requires that Director has (a) has made an exceptional case determination in relation to the individual and the services, and (b) has determined that the individual qualifies for the services in accordance with this Part,(and has not withdrawn either determination). An exceptional case determination is a determination - (a) that it is necessary to make the services available to the individual under this Part because failure to do so would be a breach of (i) the individual’s Convention rights (within the meaning of the Human Rights Act 1998), or (ii) any rights of the individual to the provision of legal services that are enforceable EU rights, or (b) that it is appropriate to do so, in the particular circumstances of the case, having regard to any risk that failure to do so would be such a breach. Subsection 10(4) is satisfied where (a) the services consist of advocacy in proceedings at an inquest under the Coroners Act 1988 into the death of a member of the individual’s family, (b) the Director has made a wider public interest determination in relation to the individual and the inquest, and (c) the Director has determined that the individual qualifies for the services in accordance with this Part, (and neither determination has been withdrawn). For the purposes of subsection (4), a wider public interest determination is a determination that, in the particular circumstances of the case, the provision of advocacy under this Part for the individual for the purposes of the inquest is likely to produce significant benefits for a class of person, other than the individual and the members of the individual’s family. The term "member of the individual's family" is defined in subsection 6. Section 11 - Qualifying for Civil Legal Aid. The Director must determine whether an individual qualifies under this Part for civil legal services in accordance with (a) section 21 (financial resources) and regulations under that section, and (b) criteria set out in regulations made under this paragraph. The remainder of section 11 deals with factors which the Lord Chancellor must consider when setting criteria for those who qualify for legal aid. Subsection 5 is important - "The criteria must reflect the principle that, in many disputes, mediation and other forms of dispute resolution are more appropriate than legal proceedings." Section 12 - Determinations. A determination by the Director that an individual qualifies under this Part for civil legal services must specify - (a) the type of services, and (b) the matters in relation to which the services are to be available. Regulations may make provision about the making and withdrawal of determinations under sections 9 and 10. The regulations must include provision for establishing procedures for the review of determinations under sections 9 and 10 and of the withdrawal of such determinations and Regulations may make provision for appeals to a court, tribunal or other person against such determinations and against the withdrawal of such determinations. Section 13 - Assistance and Advice to persons in custody. Initial advice and initial assistance are to be available to an individual who is arrested and held in custody at a police station or other premises if the Director has determined that the individual qualifies for such advice and assistance in accordance with this Part (and has not withdrawn the determination). The Director must make a determination under this section having regard, in particular, to the interests of justice. A determination must specify the type of advice or assistance (or both) to be available. Regulations may make provision about the making and withdrawal of determinations under this section and the Regulations may include matters such as provision permitting or requiring applications and determinations to be made and withdrawn in writing, by telephone or by other prescribed means. Thus, one can expect greater use of telephone "help-lines" in the future. Section 14 - Defines “criminal proceedings” for the purposes of Part 1 of the Act. Section 15 - Regulations may provide that prescribed advice and assistance is to be available under this Part to an individual described in subsection (2) if (a) prescribed conditions are met, and (b) the Director has determined that the individual qualifies for such advice and assistance in accordance with the regulations (and has not withdrawn the determination). Those individuals are - (a) individuals who are involved in investigations which may lead to criminal proceedings (other than individuals arrested and held in custody at a police station or other premises), (b) individuals who are before a court, tribunal or other person in criminal proceedings, and (c) individuals who have been the subject of criminal proceedings. In section 15 "assistance” includes, in particular, assistance in the form of advocacy. Section 16 - Representation in criminal proceedings - Under 16(1), representation for the purposes of criminal proceedings is to be available under this Part to an individual if (a) the individual is a specified individual in relation to the proceedings, and (b) the relevant authority has determined (provisionally or otherwise) that the individual qualifies for such representation in accordance with this Part (and has not withdrawn the determination). Under 16(2) representation for the purposes of criminal proceedings is to be available under this Part to an individual if (a) the proceedings involve the individual resisting an appeal to the Crown Court otherwise than in an official capacity, and (b) the relevant authority has determined (provisionally or otherwise) that the individual qualifies for such representation in accordance with this Part (and has not withdrawn the determination). (a) any related bail proceedings, and (b) any preliminary or incidental proceedings. In deciding what the interests of justice consist of for the purposes of such a determination, the following factors must be taken into account - (a) whether, if any matter arising in the proceedings is decided against the individual, the individual would be likely to lose his or her liberty or livelihood or to suffer serious damage to his or her reputation, (b) whether the determination of any matter arising in the proceedings may involve consideration of a substantial question of law, (c) whether the individual may be unable to understand the proceedings or to state his or her own case, (d) whether the proceedings may involve the tracing, interviewing or expert cross-examination of witnesses on behalf of the individual, and (e) whether it is in the interests of another person that the individual be represented. The Lord Chancellor may by order amend the list of factors. (In essence, this list appears to set in statutory form some of the criteria which originally began life - back in 1966 - as the "Widgery criteria". Widgery J reported on Legal Aid in Criminal Proceedings). Amendment of the factors is subject to negative resolution procedure (see s.41). Section 18 Determinations by the Director - The Director is authorised to determine whether an individual qualifies under this Part for representation for the purposes of criminal proceedings, except in circumstances in which a court is authorised to make the determination under regulations under section 19. Section 19 Determinations by court - Regulations may (a) provide that a court before which criminal proceedings take place, or are to take place, is authorised to determine whether an individual qualifies under this Part for representation for the purposes of criminal proceedings of a prescribed description, and (b) make provision about the making and withdrawal of such determinations by a court. Section 20 - Provisional determinations - Regulations may provide that the Director or a court may make a provisional determination that an individual qualifies under this Part for representation for the purposes of criminal proceedings where (a) the individual is involved in an investigation which may result in criminal proceedings, (b) the determination is made for the purposes of criminal proceedings that may result from the investigation, and (c) any prescribed conditions are met. The "nerve centre" - "the small print"
Part 1 of Schedule 1 lists areas where legal services might be made available where an individual qualifies. (Remember that financial tests also apply to legal aid qualification). In relation to each of the 46 paragraphs, it is essential to check the detail since there are various exclusions set out for each area of legal aid. 46. Connected matters – i.e. Prescribed civil legal services provided, in prescribed circumstances, in connection with the provision of services described in a preceding paragraph of this Part of this Schedule. 1. personal injury or death. 2. claims in tort in respect of negligence. 3. claims in tort in respect of assault, battery or false imprisonment. 4. claim in torts in respect of trespass to goods. 5. claim in torts in respect of trespass to land. 7. defamation or malicious falsehood. 8. claims in tort in respect of breach of statutory duty. 12. claims for damages in respect of a breach of Convention rights by a public authority to the extent that the claim is made in reliance on section 7 of the Human Rights Act 1998. 13. company or partnership law. 15. benefits, allowances, payments, credits or pensions under (a) a social security enactment, (b) the Vaccine Damage Payments Act 1979, or (c) Part 4 of the Child Maintenance and Other Payments Act 2008. 16. compensation under the Criminal Injuries Compensation Scheme. 17. changing an individual’s name. Part 3 - Advocacy: exclusion and exceptions The drafting of Part 3 of this Schedule is unbelievably cumbersome. It begins by stating - "The services described in Part 1 of this Schedule do not include advocacy, except as follows - (a) those services include the types of advocacy listed in this Part of this Schedule, except to the extent that Part 1 of this Schedule provides otherwise; (b) those services include other types of advocacy to the extent that Part 1 of this Schedule so provides." 4. Court of Protection to the extent that they concern - (a) a person’s right to life, (b) a person’s liberty or physical safety, (c) a person’s medical treatment (within the meaning of the Mental Health Act 1983), (d) a person’s capacity to marry, to enter into a civil partnership or to enter into sexual relations, or (e) a person’s right to family life. 5. in a county court. 6. certain proceedings in the Crown Court - (a) proceedings for the variation or discharge of an order under section 5 or 5A of the Protection from Harassment Act 1997, and (b) proceedings under the Proceeds of Crime Act 2002 in relation to matters listed in paragraph 40 of Part 1 of this Schedule. 7. magistrates’ court that falls within the description of civil legal services in any of paragraphs 1, 11 to 13 and 15 to 18 of Part 1 of this Schedule. 8. in a magistrates’ court - (a) proceedings under section 47 of the National Assistance Act 1948, (b) proceedings in relation to - (i) bail under Schedule 2 to the Immigration Act 1971, or (ii) arrest under Schedule 2 or 3 to that Act, (c) proceedings for the variation or discharge of an order under section 5 or 5A of the Protection from Harassment Act 1997, and (d) proceedings under the Proceeds of Crime Act 2002 in relation to matters listed in paragraph 40 of Part 1 of this Schedule. 9. the First-tier Tribunal under - (a) the Mental Health Act 1983, or (b) paragraph 5(2) of the Schedule to the Repatriation of Prisoners Act 1984. 10. Mental Health Review Tribunal for Wales. 11. First-tier Tribunal under - (a) Schedule 2 to the Immigration Act 1971, or (b) Part 5 of the Nationality, Immigration and Asylum Act 2002. 12. First-tier Tribunal under- (a) section 40A of the British Nationality Act 1981, or (b) regulation 26 of the Immigration (European Economic Area) Regulations 2006 (S.I. 2006/1003), but only to the extent that the proceedings concern contravention of the Equality Act 2010. 13. First-tier Tribunal that falls within the description of civil legal services in paragraph 28, 29 or 32(1) of Part 1 of this Schedule. 14. First-tier Tribunal under- (a) section 4 or 4A of the Protection of Children Act 1999 (appeals and applications relating to list of barred from regulated activities with children or vulnerable adults), (b) section 86 or 87 of the Care Standards Act 2000 (appeals and applications relating to list of persons unsuitable to work with vulnerable adults), (c) section 32 of the Criminal Justice and Court Services Act 2000 (applications relating to disqualification orders), or (d) section 144 of the Education Act 2002 (appeals and reviews relating to direction prohibiting person from teaching etc). 15. Upper Tribunal arising out of proceedings within any of paragraphs 9 to 14 of this Part of this Schedule. 16. Upper Tribunal under section 4 of the Safeguarding Vulnerable Groups Act 2006. 17. Upper Tribunal under section 11 of the Tribunals, Courts and Enforcement Act 2007 (appeals on a point of law) from decisions made by the First-tier Tribunal or the Special Educational Needs Tribunal for Wales in proceedings under - (a) Part 4 of the Education Act 1996 (special educational needs), or (b) the Equality Act 2010. 18. Upper Tribunal (wholly or primarily) to exercise its judicial review jurisdiction under section 15 of the Tribunals, Courts and Enforcement Act 2007. 19. Judicial review applications are transferred to the Upper Tribunal from the High Court under section 31A of the Senior Courts Act 1981. 20. Employment Appeal Tribunal, but only to the extent that the proceedings concern contravention of the Equality Act 2010. 21. Special Immigration Appeals Commission. 22. Proscribed Organisations Appeal Commission. 23. Advocacy in legal proceedings before any person to whom a case is referred (in whole or in part) in any proceedings within any other paragraph of this Part of this Schedule. 24. Advocacy in bail proceedings before any court which are related to proceedings within any other paragraph of this Part of this Schedule. 25. Advocacy in proceedings before any person for the enforcement of a decision in proceedings within any other paragraph of this Part of this Schedule. What a massive information about criminal law.You have mention everything section wise.